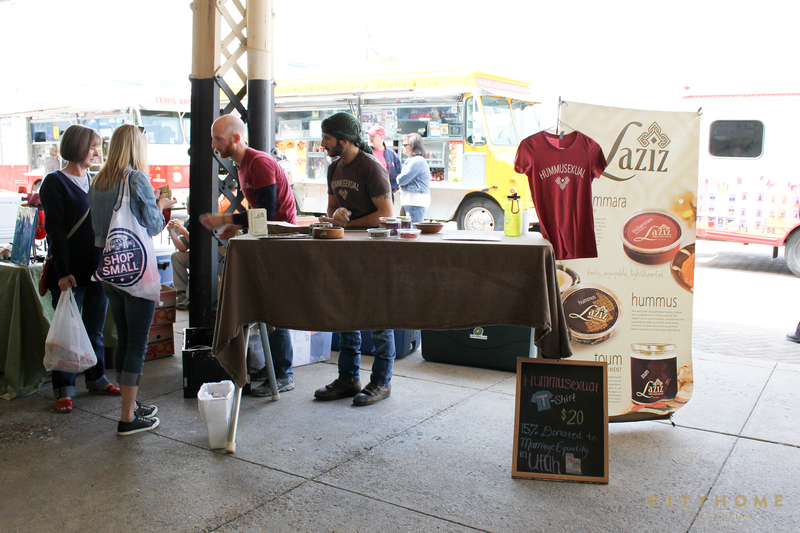 Unless you’ve been hiding under a rock while trapped in a sea chest and thrown to the bottom of the Mariana Trench, you’ve been following our good friends from Laziz Middle Eastern Spreads in the national press. We’re COLLECTIVELY impressed by their delicious eats, but fell even more in love with our favorite foodie power couple, Derek Kitchen and Moudi Sbeity, as they’ve graciously [and who are we kidding, adorably] become the poster kids for marriage equality in Utah. They just got back from Colorado, where their case was brought before the Tenth-Circuit court—colloquially known as the “Rocket Docket”—for expedited review. We’re crossing fingers, toes, and other random body parts on their behalf, so we’ll all be able to attend their public wedding at the Downtown Farmer’s Market this fall. You know the eats are gonna be stellar. 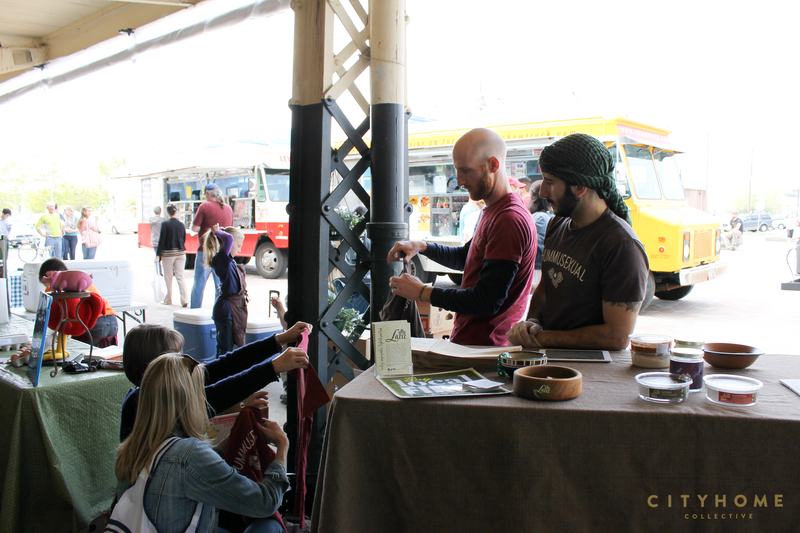 We recently caught up with them at the last Winter Famer’s Market, where in addition to their delicious spreads—made out of their solar-powered kitchen and delivered to your favorite local business or market in their Prius—they are sharing the love via haberdashery, as well. Pick up your very own “HUMMUSEXUAL” t-shirt at the Downtown Farmer’s Market when it resumes June 14th, or if you can’t wait ‘til then [and really, why should you?] order a bunch directly from their website. The best part: fifteen percent of every purchase goes directly to Restore Our Humanity, the Marriage Equality Utah legal fund. We’ll be cheering these guys on come June when they’ll be riding in style as Parade Grand Marshals with the other two couples bringing suit for Utah marriage equality during the Utah Pride Parade on June 8th. 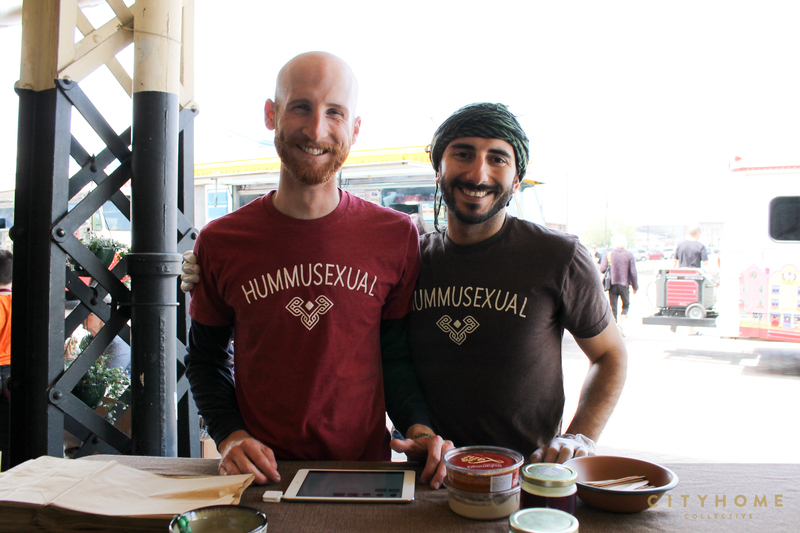 Love Equals Love, y’all [especially when it includes hummus].